I have the book and I'm working on getting scans up right now. There are some we've seen, some we haven't. But I can tell you that at $20 US, this book is well worth the cost. Beautifully designed and written. I'll be editing this post with pictures in a jiffy! Can't wait though! 'Cept I fear I may be in bed soon and then I'll have to wait until morning to see them... but I can do that. I wonder why Amazon.com still says this book won't be released until May 6th?? HR, did you get yours from Museum Replicas or a bookstore? So, what Geri? Ya think you're allowed to have a "Real Life" these days? Of all the nerve! :lmao: You should know better. Angie, a jiffy means "only if I can figure out how to load up to the Gallerie, and what does it mean I can't write to the file?" College student. Harumph. Here they are. And, may I say, Holy Freakin' GUH. Clicky. Dair, several of us ordered it from Museum Replicas - about 5 minutes after Dave posted about it. MovieImp received hers today as well - she lives 'down the road' from the company, and Geri's only a couple of states over. When She's Not LOST, She's Got Game! What beautiful pictures. I must have missed the link with this book. I'm on my way to go order this wonderful book. Thanks to Jan and HopelessRomantic. Oh, to be a sword. Can't wait to get mine now. PS. Will copious amounts of drool short out a laptop? Enquiring minds should probably know the answer to this question pretty quickly!! ETA Good God! Me and my f ing manners! Thanks Geri and Jan for getting these absolutely FABU pics out here for the Orlando faithful to gush/plotz/drool over. I just got a notice that mine has been shipped! Woo hoo! I had preordered it when Museum Replicas first went live with it. Can't wait to get my hands on it. Thanks for the pics and the preview! I'm guessing you mean THAT sword Geri? Methinks it's a good job it's in its scabbard. Jxx <------- standing in line for a turn at being THAT sword. again! Museum Replicas must have gotten a VERY special deal with the publishers to be able to sell the books before the release date. But anyway - THANK YOU Jan and Geri! Squee! Thank you Geri and Jan for the preview. I am SO glad I ordered this book. Thanks for the wonderful pictures, HR and Jan. I suspect that Dave has sold all of his 48 books by now, so I will be ordering mine from Amazon. Bloom's preparation required a grat deal of physical training, beginning with adding weight and muscle to his slight frame. A good rider since childhood, he was well equipped for the horseback work in Kingdom, but he had to hone his swordplay and learn blacksmithing skills. Vocal training was also part of the package: Scott wanted him to use a deeper, more mature voice for Balian. "Ridley turned Orlando into a leading man with his work for this film, " says Lisa Ellzey. "Orlando should be proud of both the hard work and the results." Scott, who became something of a father figure to Bloom in the course of the production, had faith his lead actor could pull it off. "We neeed a hero -- someone who could fit into the shoes and spurs of the character we had written," he says. "And Orlando certainly fulfills that. He has an honesty and integrity that are really built in, and which come through in his performance." Bloom is the first to acknowledge his good fortune in winning this role at this point in his career. "It's an incredible arc for a character: starting out as a sort of reluctant hero and eventually becoming defender of Jerusalem. Having the opportunity to do my first leading role with Ridley Scott nd to be a part of all this . it's something I'm still pinching myself about, really." Ditto. Sweet Geezus. I couldn't get the link to work to buy the book. So I am glad that the pics were posted here. Oh sweet Jesus! Thank you for posting the text that goes with the pictures MovieImp. After being out of town on vacation for almost a week, I am overwelmed with Orlando goodness. So . . . how long is the line to be that sword? I'm going to have to seriously consider buying this book. Thanks so much for posting the pictures! Oh, that picture with the sword was worth the price of the whole book. I am off to have gutterish dreams tonight for sure. I can't hardly wait for this movie. I already told all the kids that come to my house that they best not have plans of staying here on that day - cause I ain't gonna be home! And when I do return home I expect I'll be one big pile of goo after seeing Orlando. 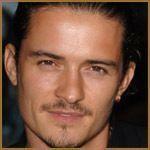 Balian/Will Turner. I think this is the same book, that's on Ebay. The current bid is $137 US. Thanks for the pictures, Jan and Geri. Pictures and video clips and interviews and then more pictures. It almost too much to take and yet we have to survive the entire movie so that we can go and see it again. But I really love how dirty he is. Even the blood isn't too bad. And I really like the blacksmith ones, there's just something about him using his hands to create things that just makes me happy. Even though in the movie he's rather sad at that time. Thank you Jan and Geri! I don't know how long it is and I don't care - I'm gettin' myself in line. I was trying so hard to resist buying this book. Now I'm going to have to buy it. :paperbag: Thanks, Geri and Jan. Thanks for posting these! I have pre-ordered mine from Amazon.ca, and my estimated date of delivery is April 20, 2006!! I hope they've made a mistake! *looks at time in disbelief* Ok, I'm going to have to come back and right-click these later.I have apparently managed to completely lose 10 minutes, just staring. *laughter* I'm gonna be late for work if I don't run for it. Balian has made me lose all connection to the temporal world. I'm never gonna make it back, either, I can tell. 'cause I'm joining the line.